Salome "Lome" (Younkin) Liston was born in 1849, near Kingwood, Somerset County, PA, the daughter of Frederick F. and Sarah (Faidley) Younkin. On Dec. 5, 1875, at the age of 27, Salome married 31-year-old Simon Liston (1845-1900), a resident of Addison Township, Somerset County. A notice of the wedding was published in the Somerset Herald four months later, on April 5, 1876, misspelling Simon's last name as "Lister." Justice of the peace Jacob Gerhard officiated, and his hand-written, one-page certification -- noting that they had "plighted the solemn vows of duty and affection" -- was dutifully kept by the couple, folded in the back of their family Bible. Simon was the son of Thomas and Elizabeth (Keller) Liston who were profiled in the 1906 book History of Bedford and Somerset Counties, authored by E. Howard Blackburn. Salome and Simon also are mentioned by name in the same biographical sketch. Simon's father had migrated to Somerset County from Selbysport, Garrett County, MD "to take charge of the Cantner woolen factory," said the History. "Later he took charge of the Listonburg woolen mill, which he conducted for many years." Interestingly, the family was no stranger to tragedy. Simon's brother in law Alexander Van Horn was killed during the Civil War as a member of the 11th Pennsylvania Reserve Infantry. A sister drowned in a Listonburg mill pond at the age of three, and a niece drowned in a Listonburg creek in young age. Salome and Simon had five children -- Samuel Liston, Mary Alice Henry, Ann "Elizabeth" Rush Miller, Edward Cleveland Liston and Frank G. Liston. As each child was born, someone in the family hand-wrote their names and dates of birth on a piece of paper which they kept folded in the family Bible. Heartache visited the Listons on Aug. 14, 1878 when firstborn son Samuel died just under one month of age; and again 13 years later on Sept. 3, 1891 when youngest child Frank passed away at the age of six-and-a-half months. The deaths, too, were hand-written for posterity. The Listons "began their domestic life on [Salome's] parental homestead," said the Somerset News Leader. Salome was "a life-long and faithful member of the Lutheran Church, first at Kingwood and in later years at Rockwood. Devoted to her family and always accounted a good neighbor, she was esteemed by all who knew her." She also took special satisfaction in the fact that her great-grandfather, David Krider, had served in the Revolutionary War as "a soldier in that memorable, nation-founding conflict," said the Leader. After the death of Salome's aged father in 1885, she and Simon inherited the old Younkin family farm and resided there for most of the rest of their lives. In response to some of her half siblings who filed legal complaints, and in order to secure their full ownership of the totaling 157.25-acre home place property, including adjoining acreage known as the "Nicola tract," they purchased the inheritance shares of the half and full siblings, including Cyrus and Mary (Younkin) Griffith in Illinois for $325, Michael and Mariah (McClintock) Younkin and their nephew John G. Gass for $650, William "Henry" and Rachel (McClintock) Younkin for $500 and John S. and Nancy (Younkin) Trimpey for $675. These transactions were spread over a 10 or more year period of time, and nephew John G. Gass -- displeased that he had not received a proper inheritance -- filed an ejectment lawsuit in the Somerset County Court of Common Pleas (No. 156 February Term 1895) to recover the value of the "undivided three-eighths interest." By the time Simon had completed buying out the farm from the other heirs, his cash investment was $2,150, a sum that would have taken years to recoup. Simon passed away in about 1900 at the age of 55. The cause of his death is not yet known. Salome spent the next 34 years as a widow. As she grew elderly, she went to live in the residence of her daughter and son in law, Elizabeth and George A. Miller, in Rockwood. Her other daughter and son in law, Alice and H.F. Henry, took over occupation of the old farm. She died on Feb. 20, 1934, at the age of 83 years and 10 months. A funeral service was held in the home of the Millers in Rockwood, officiated by Rev. V.N. Miller of St. Luke's Lutheran Church. Her mortal remains were brought back to Kingwood and placed into eternal repose in the Lutheran Church cemetery. Her death generated news headlines in the Meyersdale Republican and Somerset County Leader. Daughter Alice Mary Liston (1879-1965) was born on July 7, 1879 near Kingwood. 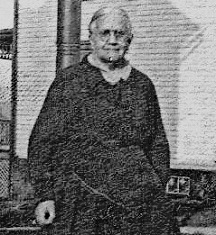 She married Harvey F. Henry (1875-1941), son of Daniel and Savilla (Faidley) Harvey. They inherited the old Younkin farm from Alice's parents. Their six children were Oma Henry, Vida Henry, Wilbur B. "Wib" Henry, Cleon Henry, Ralph M. Henry and Mildred Irene Henry. In 1907, for the sum of $1,111.11, Harvey sold his and Alice's inheritance right in the family farms to her brother in law Edward C. Liston. The lands consisted of two tracts -- 157 acres and 14 acres -- adjoining the farms of Wallace W. Hechler and Jesse Stoner to the north, Charles Sechler to the east, Wesley D. Younkin (son of Jacob C. Younkin), Calvin Rush and Harrison Brougher on the south, and Harrison Brougher, Eli Younkin, Malinda Younkin and the late Deitrich Kreger on the west. Harvey suffered from kidney and heart disease. Sadly, he died at the age of 66 on Christmas Eve 1941, just 17 days after our nation was plunged into World War II. Alice outlived him by almost a quarter of a century. She passed away at the age of 86 on July 10, 1965, at the age of 86. After their deaths, their unmarried adult children Oma, Vida and Wilbur continued to make their home in the old Younkin farmhouse along Route 281. 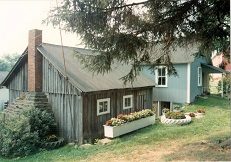 In the early 1990s, the farm was a stop on the driving tour of the Younkin Reunion-East, with the founder of this website serving as one of the tour guides. A photograph of the farmhouse was printed in the book Down the Road of Our Past published by the Rockwood Area Historical & Genealogical Society. Son Ralph M. Henry (1904-1973) was born on April 28, 1904, in Kingwood. He married Irene Leaphart ( ? -1963). Their four children were Lorraine Henry, Ralph M. Henry, Vyrl E. Henry and G. Blair Henry. They resided in Kingwood, and were friends with cousins John "Raymond" and Flossie (Shroyer) Miner, keepers of a local general store near the Odd Fellows picnic grove. Said the Meyersdale Republican, Ralph "was a retired school teacher after 39 years of service" and was a member of the Kingwood Church of God, the Odd Fellows lodge in Kingwood and the Confluence Lions Club. Lorraine passed away in 1963. After a decade as a widower, Ralph died at home at the age of 69 on July 9, 1973. 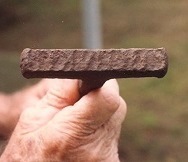 Burial was in the Kingwood IOOF Cemetery. Their sons Blair and Virl have been attendees of the Younkin Reunion-East. Grandson Vyrl E. Henry (1932-2016) was born on Oct. 9, 1932 in Markleton. He married Betty Show ( ? -living), and their marriage lasted for 60 years. They made their home in Markleton and had four children -- Craig Henry, Blake Henry, Rex Henry and Amy Lasure. During the Korean War, Vyrl served in the U.S. Army. Said the Somerset Daily American, he was "a member of Ursina American Legion Post 946 for 62 years. He also served as post commander and for 16 years as Adjutant. He retired in 1991 from the Pennsylvania Bureau of Forestry after 28 years of service." Vyrl also regularly attended the annual Younkin Reunion in Kingwood and freely shared his knowledge of family history. Sadly, after being admitted to Somerset Hospital, he died there at the age of 84 on Nov. 10, 2016. Rev. Duane Riddle officiated at the funeral followed by burial in the Kingwood Odd Fellows Cemetery. An obituary was printed in the Daily American. Granddaughter Lorraine Henry made her home in Findlay, OH. 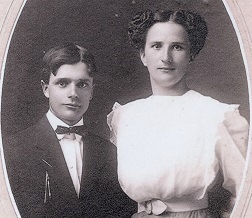 Grandson Ralph Henry Jr. married Loretta and resided in Kingwood. Grandson Galen B. "Blair" Henry (1934-2019) was born on Oct. 20, 1934 in Upper Turkeyfoot Township. He was married and the father of Lisa Surran and Lori Baysek. Blair worked for Coleman Companty at its Fleetwood Folding Trailers factory. He lived for many years in Meyersdale, Somerset County. He was a member of and held leadership positions in the Casselman United Methodist Church. He also took a special interest in the historic Mount Union Church and served on its cemetery association. 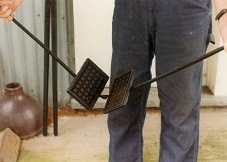 In his spare time, he enjoyed carpentry and relaxing at his hunting cabin. Sadly, with his health failing at the age of 84, he was admitted to UPMC Somerset Hospital and succumbed there on Feb. 6, 2019. Daughter Oma Mae Henry (1908-1997) was born on Dec. 21, 1908. She never married, and lived with her sister Vida and brother Wilbur in the old farm house. In 1957 she was named a fund drive leader for the Somerset County Chapter of the American Red Cross. Oma passed away on Dec. 7, 1997, just two weeks shy of her 89th birthday. his sisters' watchful gaze. Right: Oma Henry. 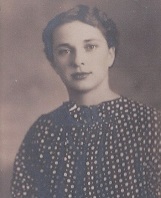 Daughter Vida Henry (1911-1992) was born on Sept. 7, 1911. She never married, preferring the life of an unmarried teacher. In the 1950s, she taught at the one-room Barronvale School in Somerset County. Said the Daily American, she was a "lifelong member of the Kingwood Church of God, where she had perfect attendance for 48 years and taught Sunday School for 50 years." She also was an active member of the church's Missionary Society. She passed away at home at the age of 80 on April 21, 1992. Rev. James Monticue preached her funeral sermon, after which she was entombed in the Kingwood Odd Fellows Cemetery. Son Wilbur B. "Wib" Henry (1919-2000) was born on Feb. 2, 1919 and was a longtime farmer. He lived with his maiden sisters and married later in life, at the age of 54, to a widowed triple cousin, Rose "Rosie" (Gary) Trimpey (1919-1985), daughter of Jacob and Minnie (Miner) Gary of Kingwood. Sadly, his sisters, who once had liked Rosie, did not kindly taken to her entering their household, and Rosie moved out under the strain. Wib was a member of the New Centerville and Rural Volunteer Fire Department and the Kingwood Church of God, and once served on the board of the Kingwood Lutheran Cemetery Association, where his Younkin great-grandparents are buried Rosie passed away at age 65 on April 29, 1985. Wib once donated a parcel of land in front of the Kingwood Elementary School to provide for school access, a driveway and expanded parking space. He died on Oct. 24, 2000. Son Cleon Henry (1906-1988) is believed to have married Irene J. Johnson (1908-1987). In 1941, Irene is believed to have been a member of the C.D.A.H Sunday School class at the First Presbyterian Church of Fairchance, Fayette County, PA. He lived in Uniontown, Fayette County circa 1973. Irene died in 1987. Cleon followed her to the grave a year later, in 1988. They are buried in the Odd Fellows Cemetery in Kingwood. Daughter Mildred Irene Henry (1914-1923) was born on Sept. 5, 1914. She grew up on her parents' farm. As she neared her ninth birthday, she contracted post-nasal diphtheria. She died after eight days of suffering on Aug. 15, 1923. Her tender remains were placed into rest in the Kingwood IOOF Cemetery. Son Edward Cleveland Liston (1886-1973) was born in 1886 on the family farm south of Kingwood, Somerset County, PA.
At the age of 20, Edward married 20-year-old Lillie Romesburg (1886-1925), daughter of Nelson and Mary Romesburg of Kingwood. The marriage took place in July 1906 in Glade City, PA by the justice of the peace. As Edward legally was underage, and his father was deceased, his mother had to give her permission for the marriage to occur. The Romesburgs had three known children -- Ruth Schrock, Oscar Liston and Mildred Fern Gfeller. In 1907, for the sum of $1,111.11, Edward and Lillie purchased the inheritance right of his sister Alice Henry to the family farms near Kingwood. They later relocated to Junction City, KS. Tragically, Lillie died in Junction City in June 1925 as a result of a blood clot from a miscarriage. Her remains were placed into rest at the Highland Cemetery in Junction City. After his wife's untimely passing, Edward went back to Pennsylvania. There, he married his wife's widowed cousin, Mattie Enos ( ? - ? ). She brought four sons to the marriage. They migrated back to Kansas and lived on the farm. She is also buried in Highland Cemetery. Edward outlived her by several years. He died in Junction City in September 1973, as a result of a fire in the nursing home. Daughter Ruth Liston (1906- ? ) was born in October 1906. She never lived with her parents, but instead was raised with her maternal grandparents. She married Harold Schrock ( ? - ? ) and they lived in Uniontown, PA. Both are buried near Kingwood, PA. 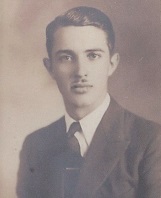 Son Oscar Lawrence Liston (1912-2009) was born on Sept. 24, 1912 in Junction City. He married to Esther Altwegg ( ? -1970), also of Junction City, Kansas. They had five daughters, Kaylene Miller, Marilyn Moriera, Patricia "Pat" North and twins Sylvia Sayers and Cynthia "Cindy" Freeman. They had a farm in White City, Morris County, KS. Over the years, their comings and goings were chronicled in the gossip columns of the Council Grove Republican. Circa 1945, Oscar served on the Skiddy School Board with Paul Stilwell, Charles Mauch and Edna Hunter. 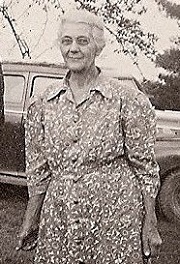 In 1948, Esther was a member of the Upper Clarks Creek Unit. Sadly, Esther died in 1970. Oscar survived her by a remarkable 39 years and married again to Della ( ? -2001). He spent his final years in Colorado Springs, CO, where he passed into eternity on Aug. 11, 2009. Memorial services were held at the zion United Church of Christ, and an obituary was printed in the Salina Journal. Both are buried in St. John’s Cemetery, west of Junction City. Daughter Mildred Fern Liston (1915-2010) was born on April 6, 1915. She married Harvey Gfeller (May 15, 1908-2004), a native of rural Geary County, KS. 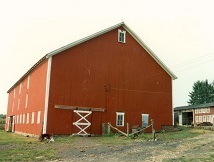 The Gfellers had a farm west of Junction City. They had two children, Wayne Gfeller and Linda. The children were favorite cousins of Oscar Liston's family. In April 1973, Harvey was re-elected to the board of directors of D.S. & O. Rural Electrification Cooperative in Solomon, KS, serving some 4,800 central Kansas consumers with electricity. He also was a member of the bargaining committee of the Geary County chapter of the National Farmers Organization (NFO). Harvey passed into eternity at the age of 95 on March 19, 2004. Funeral services were held in the Zion United Church of Christ. An obituary was printed in the Salina (KS) Journal. Fern lived for another six years. She died December 19, 2010, and is buried in St. Johns Cemetery, west of Junction City and northeast of Chapman. Grandson Wayne Gfeller resided in rural Junction City in 2004. Granddaughter Linda Gfeller wedded (?) Hanney. Her home in 2004 was in Berryton, KS. Above: siblings Oscar Liston and Fern Gfeller, Anderson Studio, Junction City. Below: Oscar's adult daughters, L-R: Kaylene Miller, Pat North, Marilyn Moriera, Sylvia Sayers and Cindy Freeman. Daughter Elizabeth Ann "Lizzie" Liston (1882-1967) was born on May 10, 1882. Her first husband was John Rush ( ? - ? ), and they divorced in 1913. They had one daughter, Dorothy Rush. She married again, to George A. Miller (1876-1941), widower of her cousin Edith (Younkin) Miller of Rockwood. See the Miller biography for more. Minerd.com extends its gratitude for contributions made to this page by the late Donna (Younkin) Logan, the late Olive (Rowan) Duff, Kay Lynn Younkin, Linda Marker, Sylvia (Liston) Sayers, the late Virl Henry and Sylvia (Liston) Sayers.